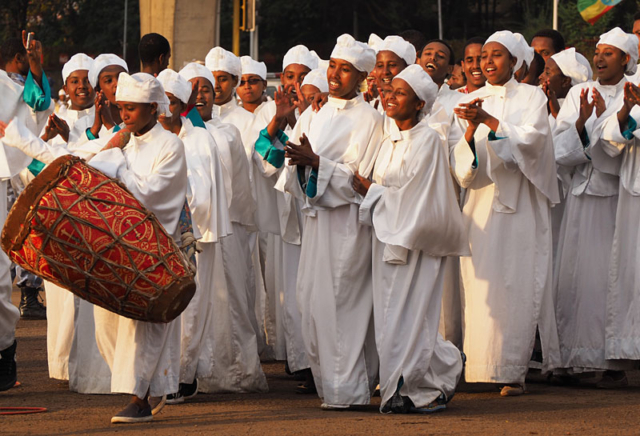 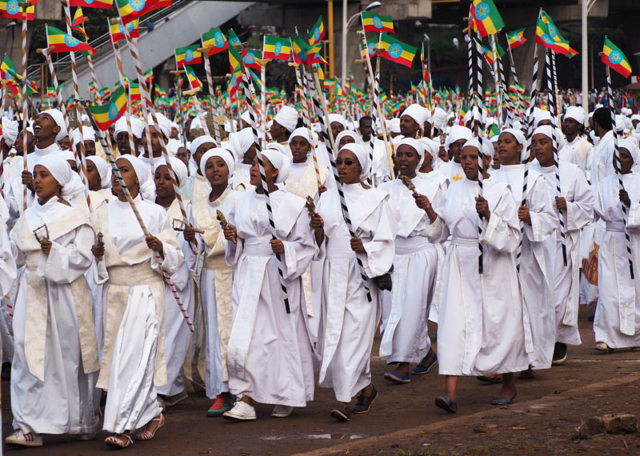 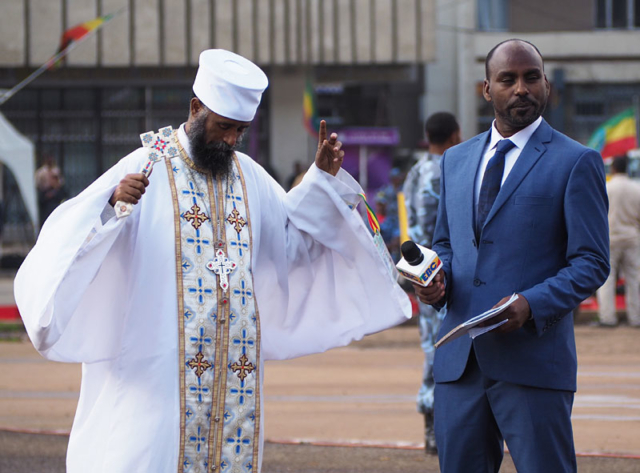 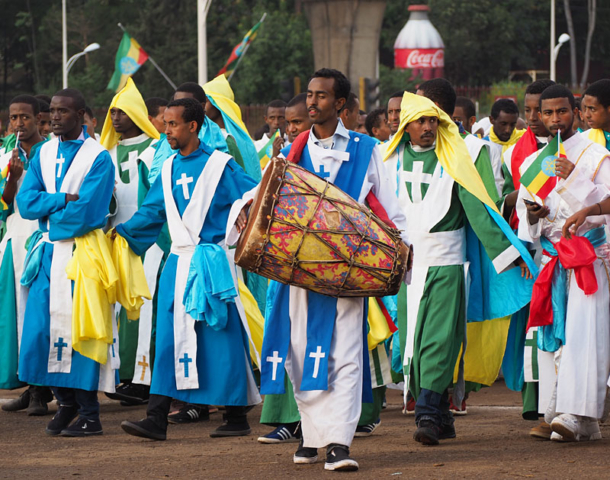 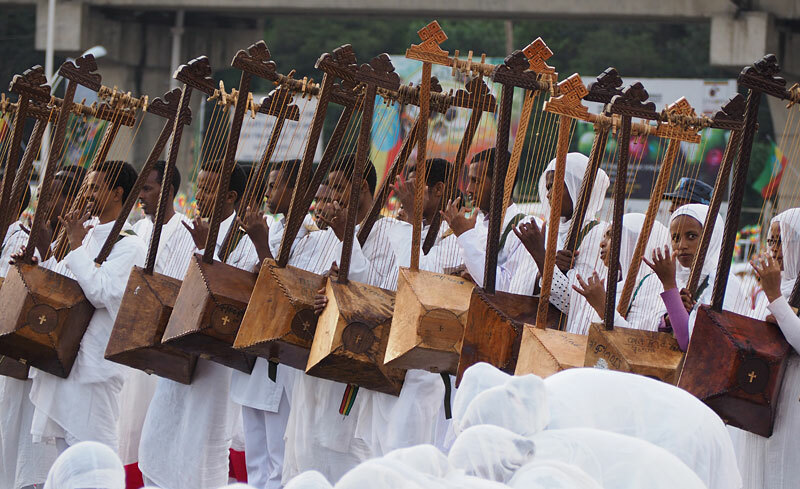 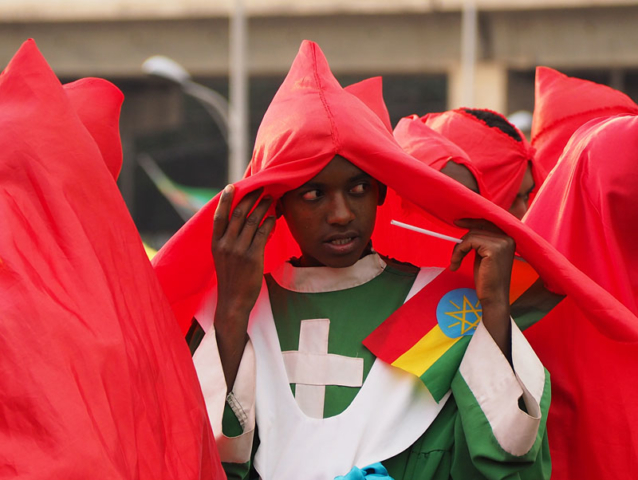 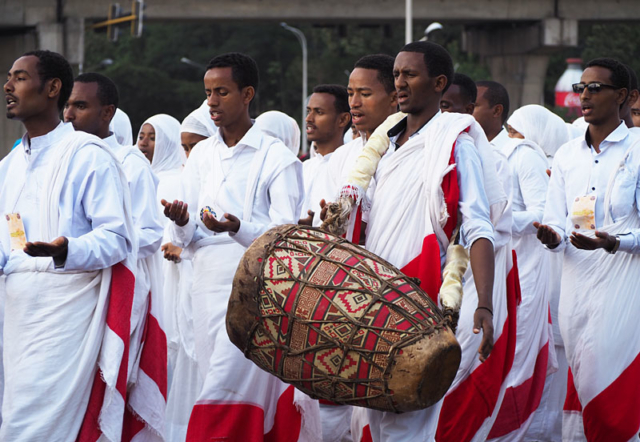 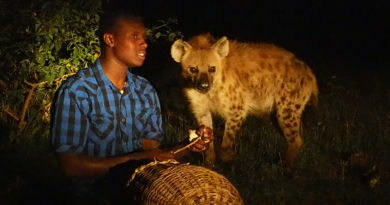 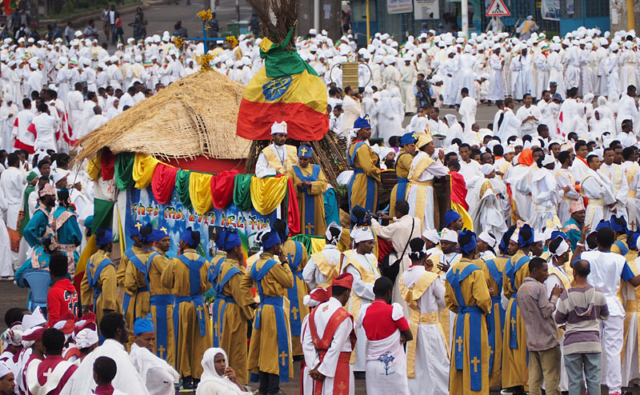 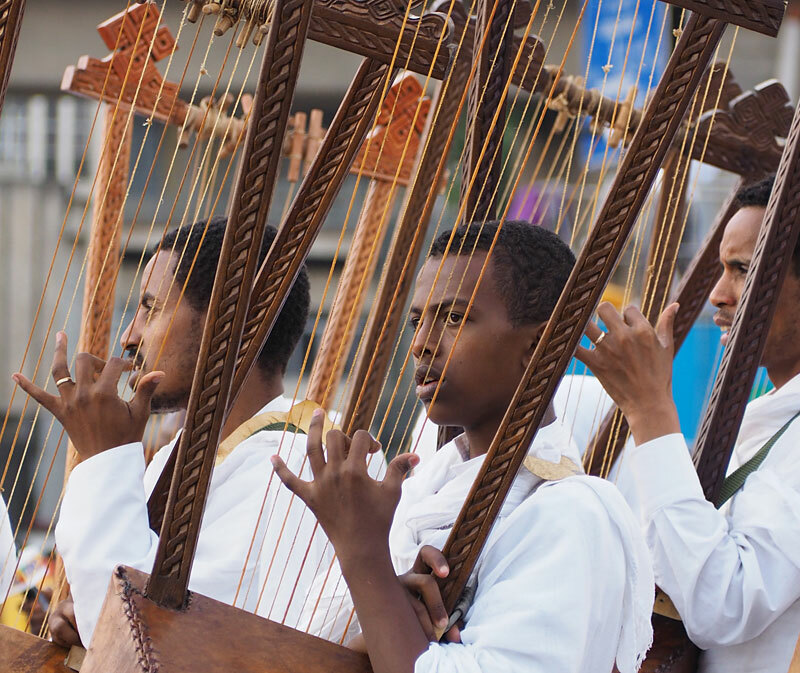 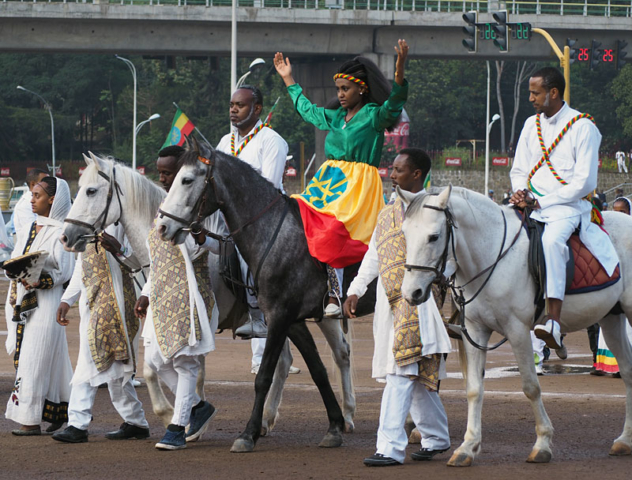 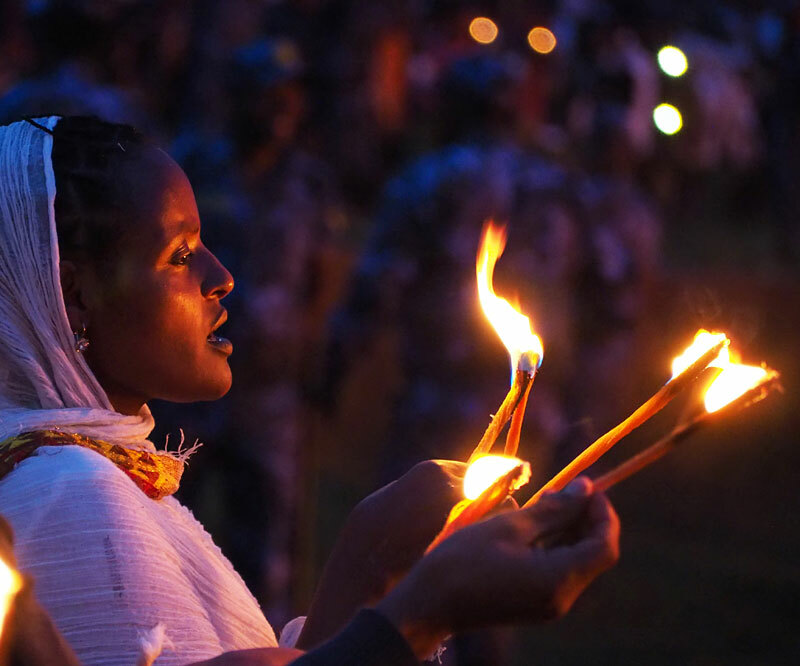 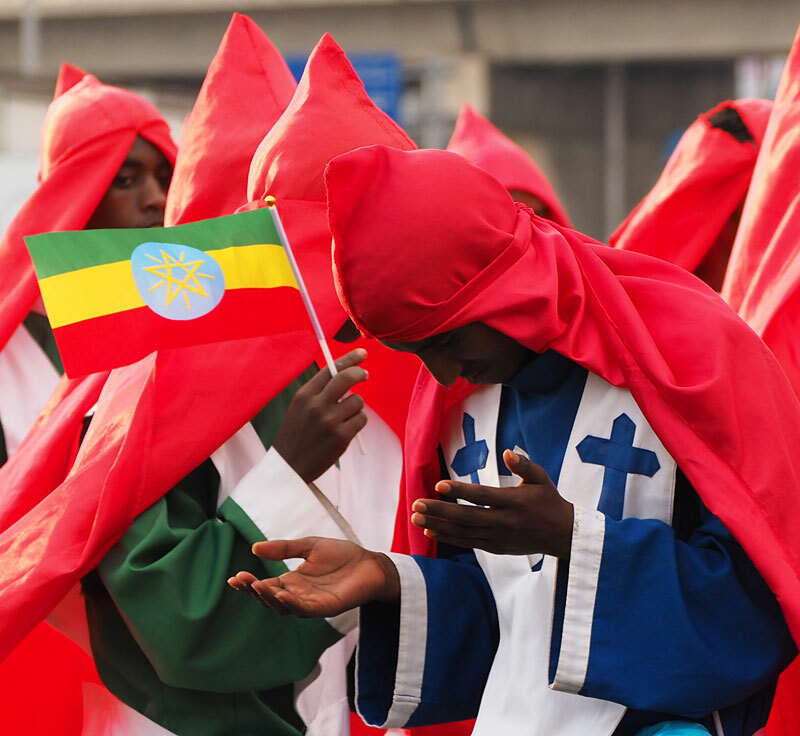 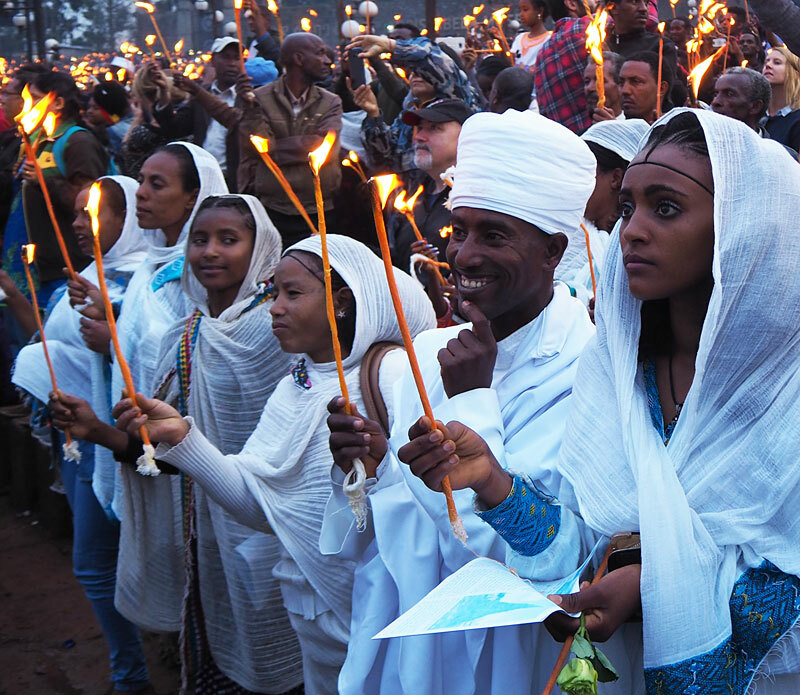 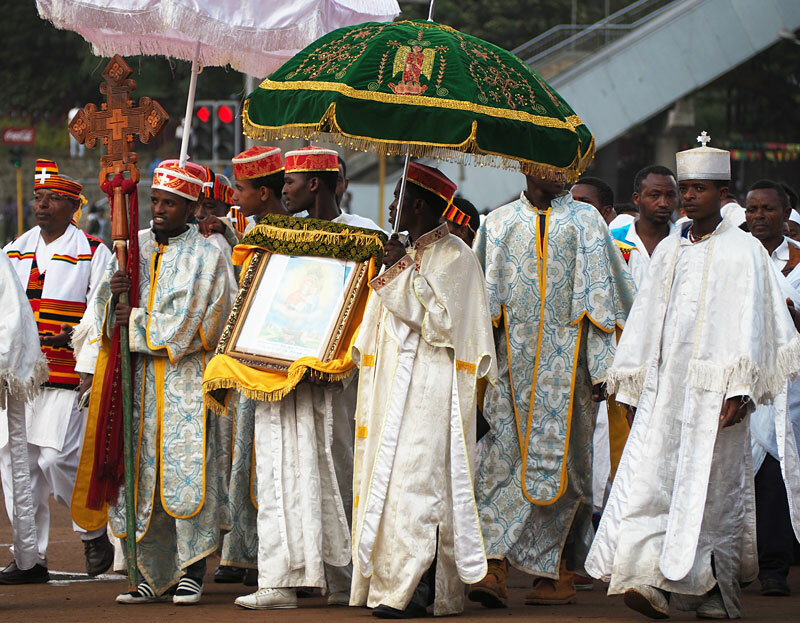 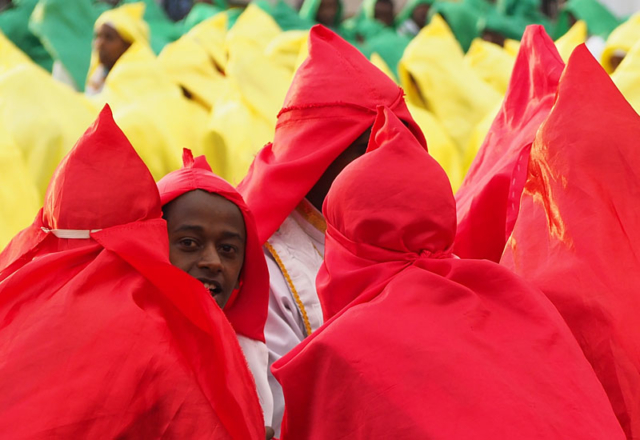 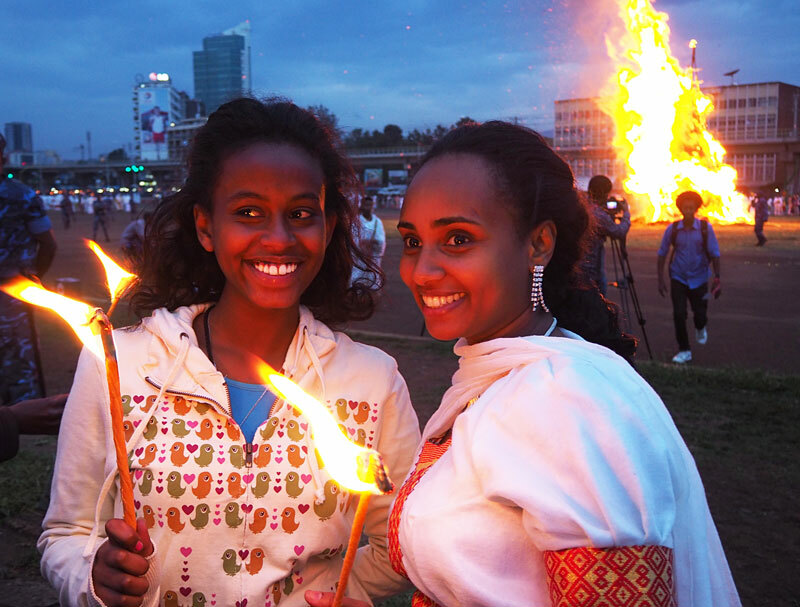 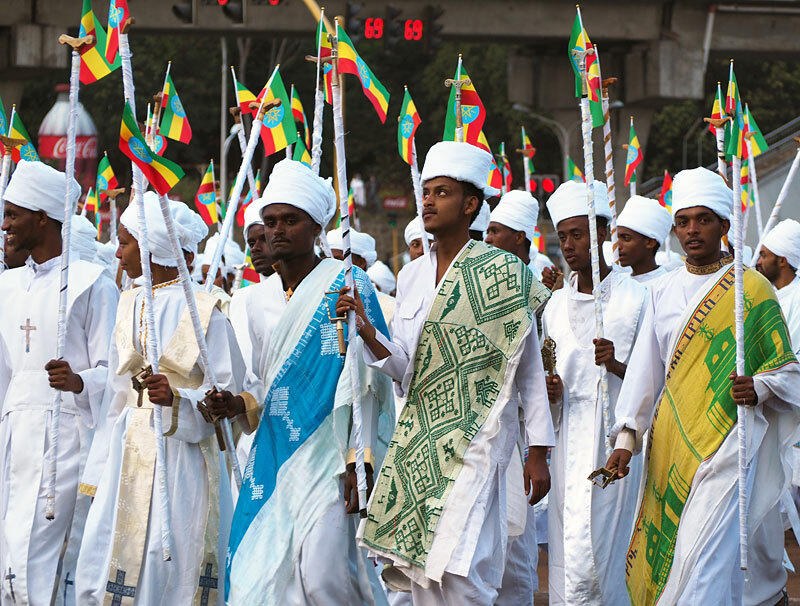 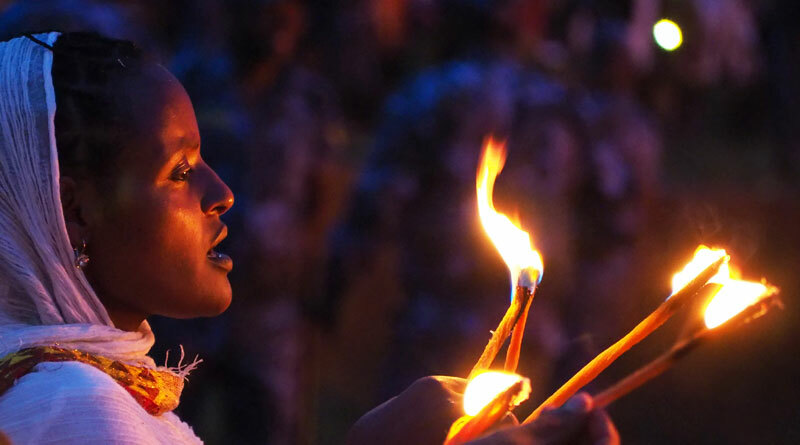 Once a year Ethiopia’s Christians celebrate what they say was the discovery of Christ’s cross more than 1600 years ago. 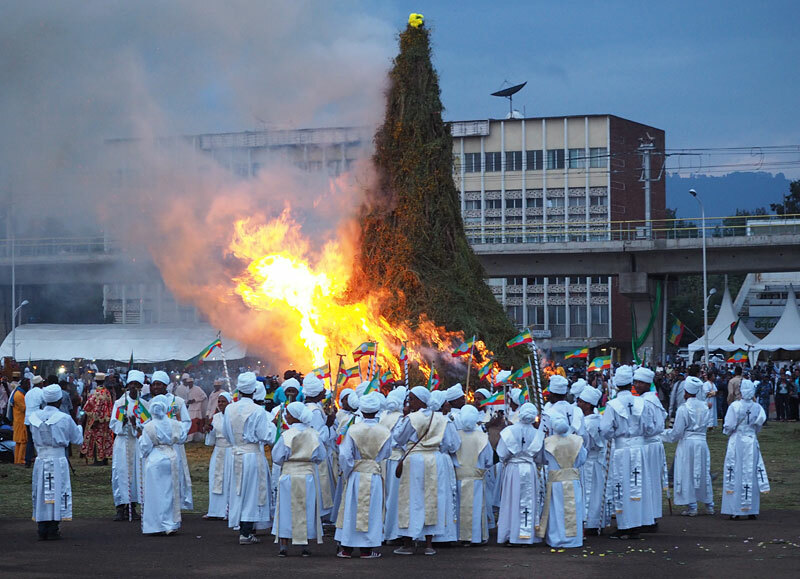 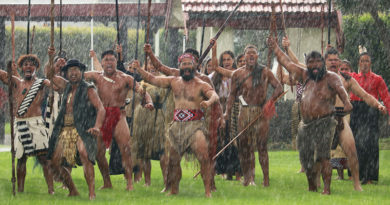 All over the country they dress in brightly coloured robes, dance, sing, pray and build towering bonfires. It couldn’t be any more different from going to church in the west. Click on the thumbnails below to see the full-size images; you can also read my story about how over-zealous policemen almost stopped me seeing the festival after I’d travelled two days to get there. 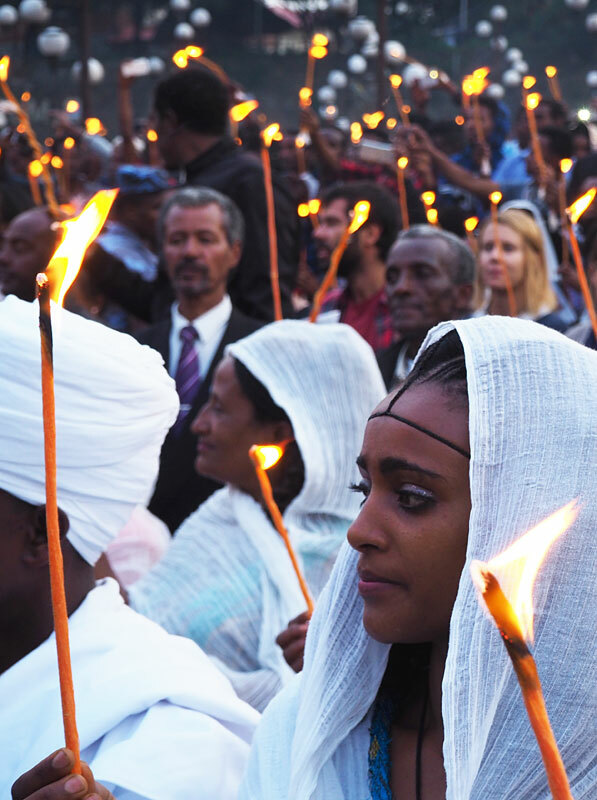 If you’re wondering what Meskel is all about you can read an explanation here.